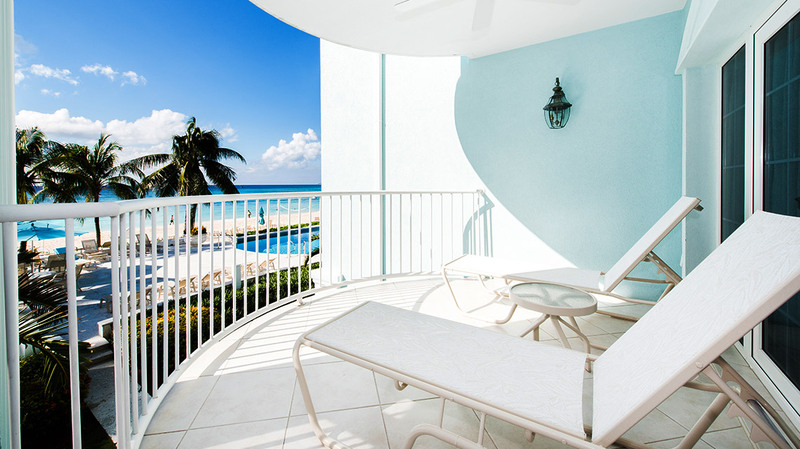 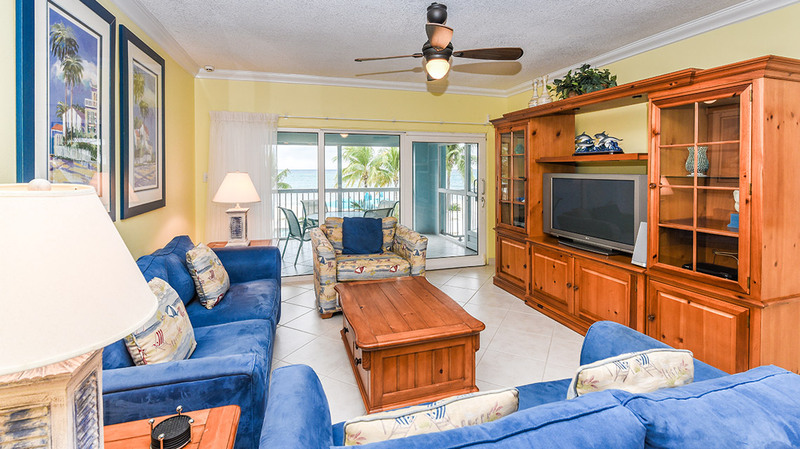 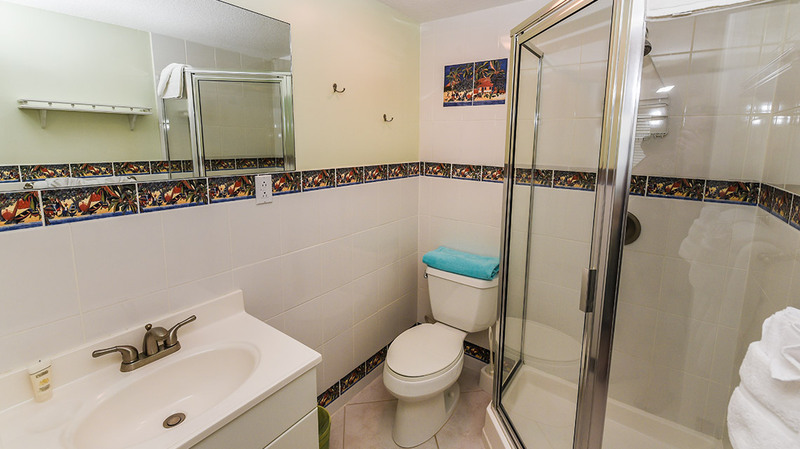 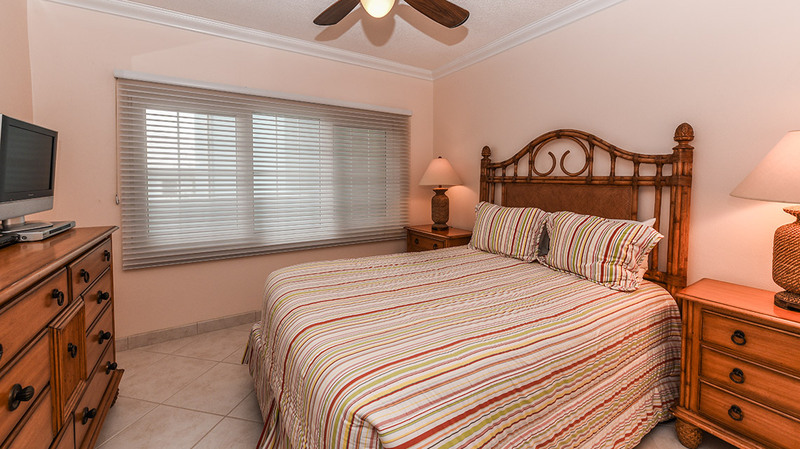 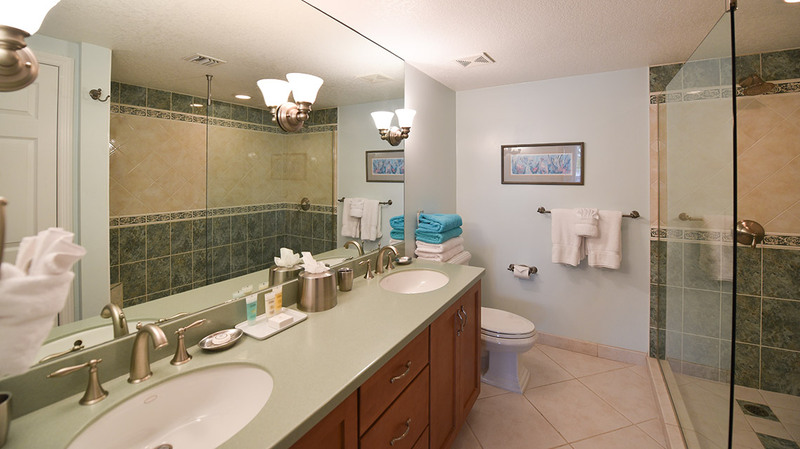 This one is all about bringing Grand Cayman and Seven Mile Beach tropical surroundings inside the condo. 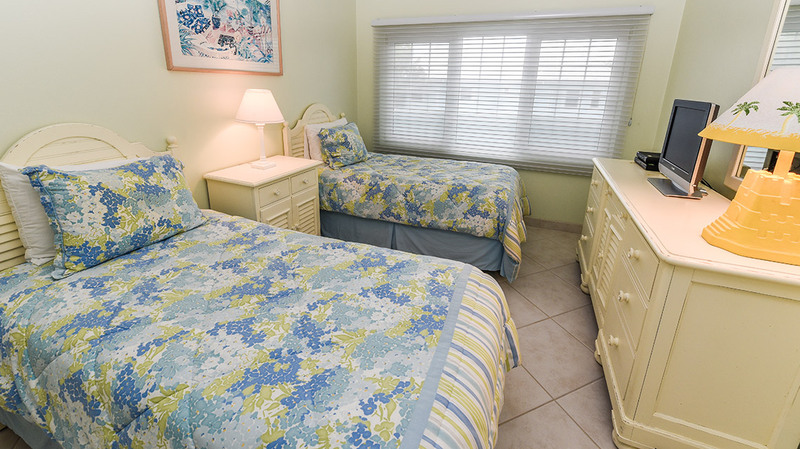 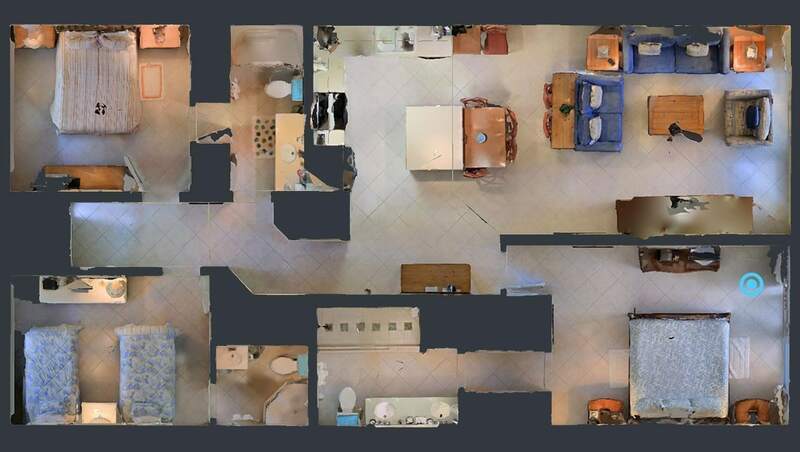 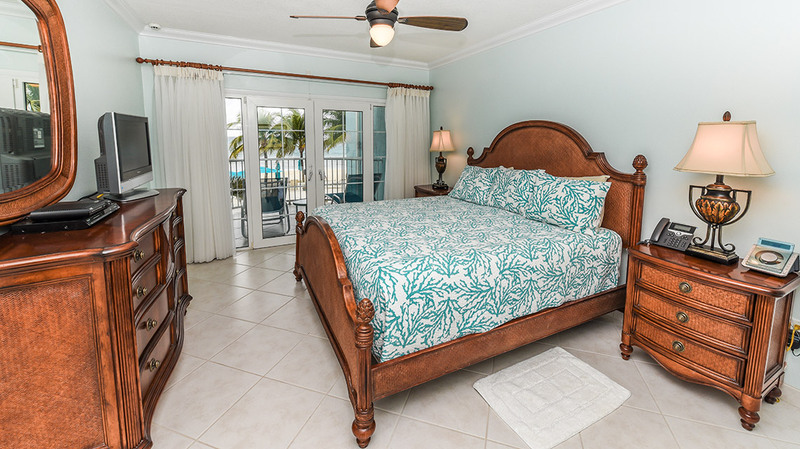 With its décor of sunshine yellow, azure blue, and sea foam green accents throughout, this unit features a master bedroom with king bed, a guest bedroom with a queen bed, and an additional guest bedroom with two twin beds. 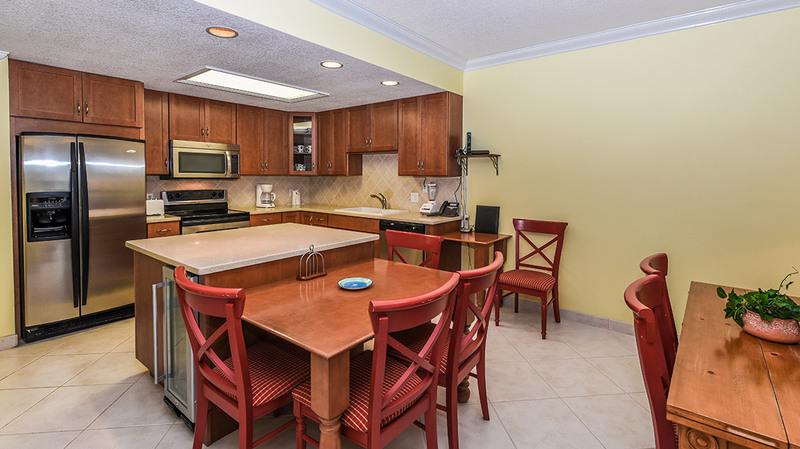 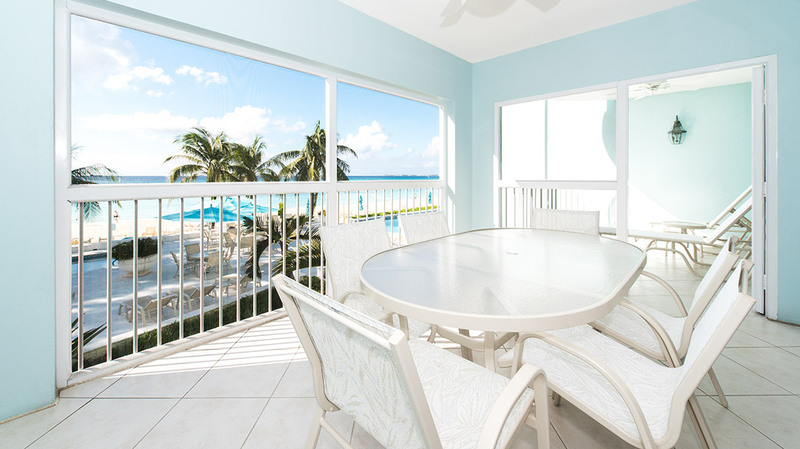 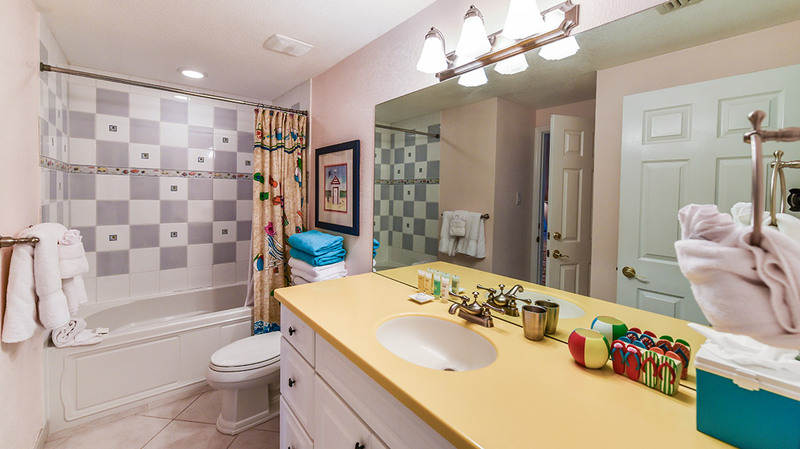 At 1,800 square feet, this three bedroom, three bathroom condo has “Grand Cayman Escape” written all over it!